Maybe not but it's the best Sonic Lego thing I've seen. I don't know that it will happen, but nothing about the parts use seems unreasonable, and they've already worked with sonic for dimensions. The body and legs just look like a big mass of bricks, but lego designers could definitely tidy things up if it passed. Sonic as a license is fine (that looks like the Dimensions minifig there). But as a set, that looks both boring to build and bleh from a play aspect. Basically, you could pull off a Sonic Ideas set, but it'll have to be a rock solid build which this is not. Yeah, I don't think the build is great, but the idea is solid. People love building lego mechs, and Robotnik is a noted mech user. The play value of having sonic fight the mech should be relatively easy to pull off. It also wouldn't require a huge number of parts or overly specialized parts to implement, unlike a lot of stuff that takes off on ideas. Did anyone get the Mustang yet, thoughts? Mine's en route, but I won't be building it immediately. Pretty much every review of it is glowing though. Psiaki has become designer legend. Sariel gave the Mustang a perfect score for like, the first time ever. Doesn't seem too spoiler. I am sure future sets will be though. Yawn. Boring and unimaginative. They're so obsessed with avoiding spoilers that these sets are just bad. 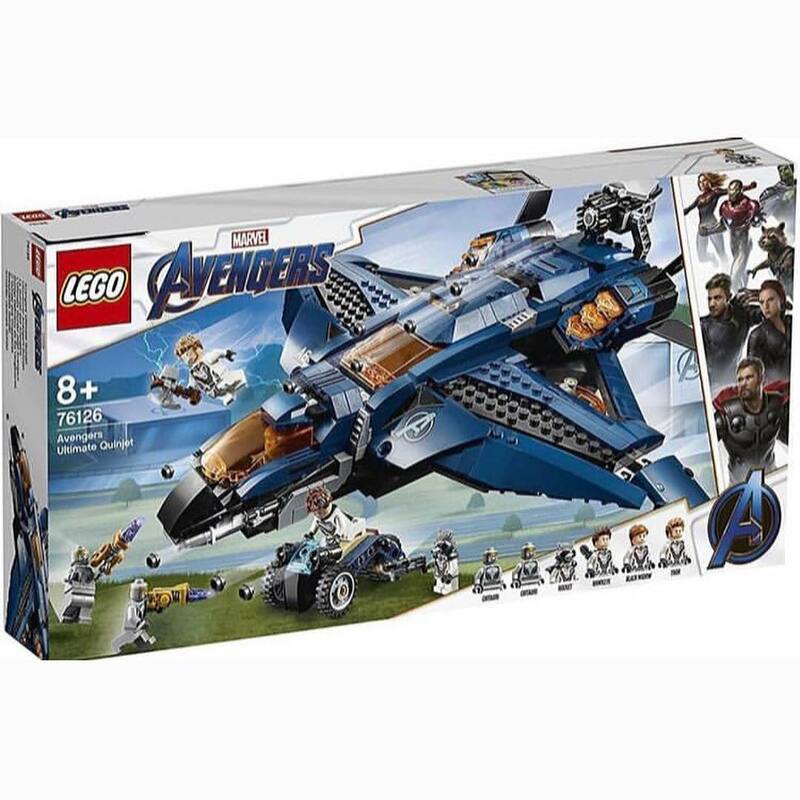 And they clearly are buffing up minifig counts by including Chitauri and Outriders when they may have little to no presence in the film. 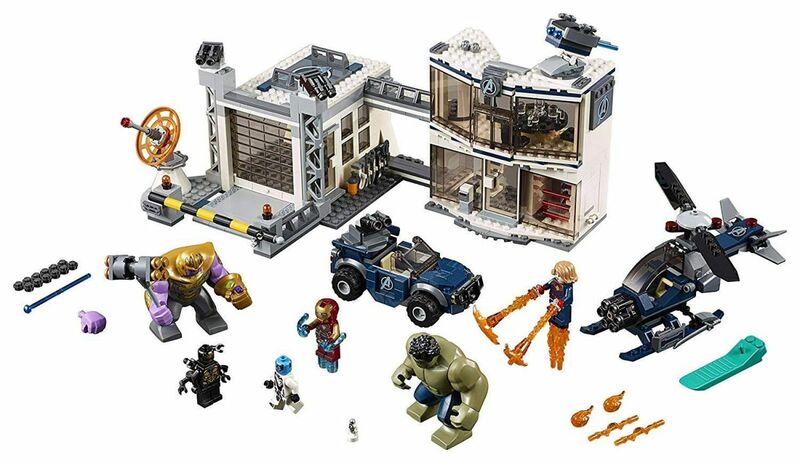 From March 1-7, if you spend over $75 on Lego Marvel sets in Lego stores or online Lego's site, you'll be given the Bricktober 2018 set that was planned to be in Toys R Us before the closing down. Awww, did I miss this? At least Iron Man gets some suit variations. Everyone else in the matching white suits really kills the uniqueness of the minifigs. 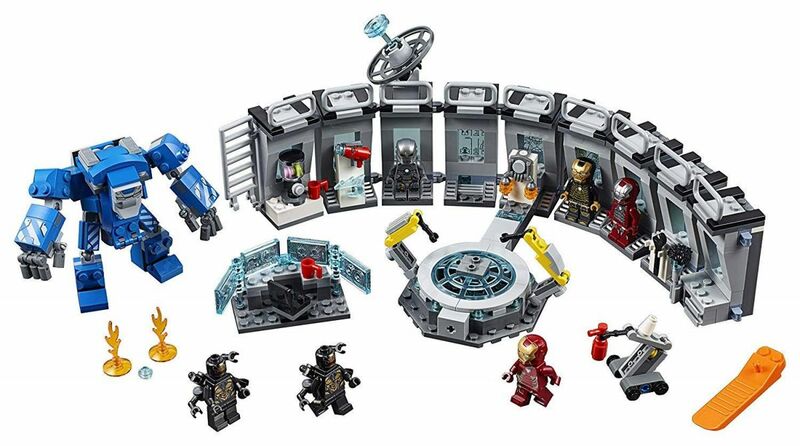 I’ll probably get the Warmachine set, Hall of Armor, and then buy the Gold-armed Iron Man off of Bricklink (and maybe the nano Ant-man if he’s not crazy expensive on his own). I don’t think so, the Mustang keychain and Unikitty promos are going on now, I think the marvel promo is actually in a week or maybe less. No. It starts on the 8th. Not a car fan but one of LEGO's best. The build was consistently fun and challenging and the finished model is mindblowingly gorgeous. It has suddenly sparked an interest! Is the VW beetle a next must have?! MIke Psiaki was the main designer on the Mustang, Aston Martin, and the VW beetle. If you're not a car fan, and value the build over the final looks, I would say the Aston Martin. If you do like the Beetle, then go for that one. Most of the cars have some unique way of doing something but the Aston was the first one I think to make me truly think "how the hell did you think of this" since it crams so much functionality into the car. I haven't built my Mustang yet but very much looking forward to it. Edit: Not a car but I should also mention the Saturn V is a "wtf is going on here" type of build before it comes together. Also a Psiaki set. The T1 Campervan is really good. great news, i'm waiting for it to turn up, really looking forward to it! Psiaki is consistently amazing. The Beetle and Saturn V are top class, but you shouldn't miss the Creator Turbo Track Racer. Even though it's an unlicensed set and smaller, it's packed with great builds and possibly the best function Lego has ever made. And although it's discontinued you should track down his previous Creator jet. I have Saturn V, it was amazing. At some point my wife is going to allow herself to notice that I have a bunch of unbuilt sets but am still buying them. But I like the Mustang and she used to drive a ‘66 so it’s ok right? Somehow I've managed to delete the image taken of the as-of-yet unopened boxes, and I won't subject you to an image of the messy remnants as they are now. Managed to get my hands on a Classic variety, a Ninjago golden dragon, and a Creator diving set in a 3-for-2 deal, as well as the Reinhardt & D.Va and Creator Sea creatures sets at 30% percent off each.. A pretty good haul if I have to say so myself. Time to get to work on the skeletons of those WH40K Dreadnaught MOCs. How is the Porsche 911 RSR build? I haven't seen a lot about it here. May I get an invite to the discord please? Bought the mustang and the D.Va and Reinhardt sets yesterday. Can't wait to start the mustang today! BB-8 down to $58 at Walmart online. how often do you guys get sets with missing pieces? my saturn v has one missing piece. Only happened a couple of times for me. Just filled the form in on Lego's website, they shipped the pieces. My niece had a missing part for the Carousel. I've never had a set without one. Well, I should probably not mention the rumored wave 2 of HP then with new sets that can connect with the Great Hall etc. That must not have lasted long. Seeing $79. 100% of the time I thought a piece was missing in fact it was not. Either I forgot one little piece inside a plastic bag or I did assemble something wrong previously with that piece. Of course there could be real cases of pieces missing, but I never got one and have assemble over hundred sets. You should check for the other possibilities first and then complain to LEGO support. We usually found them either stuck to the bottom of the bag somewhere or that we had use the wrong piece. It only happen once where we never found the piece but even then I am thinking we probably goof somewhere. thought so too, but it's definitely not here. I finish a bag in one sitting if i open it, and there isn't anywhere it could have fallen. luckily it's not an important piece so I doubt I'll even try to get a new one. I'm at the point that I can usually replace any part from what I already have, but in those cases it invariably turns up later. I don't think I've ever had a missing part. A couple broken ones after a few years though. Anyone wanna make a thread? 2x VIP until the new month. Can I get an invite to the Discord? Do you have some kind of instruction for a decent one? I’m sitting on all the pieces imaginable, but bad at custom building. Bought the Ninjago City Docks yesterday, and now after 9-ish hours of building it is complete, goes exceedingly well with the Destiny's bounty on my shelf. I did take quite a bit longer than I suspected, but it was good fun. Not at the moment, but I can probably find some relatively quickly, if you'd like. Finally got around to build the Saturn V... it really is as awesome as people say! Still about 4 bags to go. Makes me want to get more Psiaki’s sets. Aston functions are really great, and how he got it be so compact in the car is incredible. I don't think the exterior looks very good though.